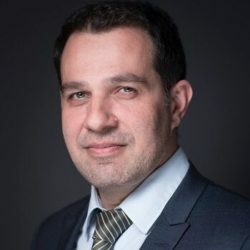 Stéphane Ifrah is the CEO of NapoleonX, one of the first cryptocurrency asset management companies specialized in programmable or algorithmic trading. During Bitcoin Wednesday on 1 November, 2017 he will give a presentation about how this type of buying and selling is performed for cryptocurrencies. He will join his colleagues Jean-Charles Dudek and Arnaud Dartois in introducing the concept of DAFs or decentralized autonomous funds and giving an overview of some of the first trading strategies their team will introduce to the sector. Stéphane has had a long financial career in exclusively front office positions. He has been an asset manager for more than 12 years, and started developing quantitative models while he was managing several billion euros of assets for BNP Paribas. He graduated from the Ecole Polytechnique, the French MIT, and has been raised with math and models. Because I was trading on a discretionary basis, I felt the need to develop tools to give me an edge. So I started creating models, and it worked fine. I decided early on to use these techniques for my own investments and, since then, I regularly upstream some dividends from my trading account. By this time I was wondering how I could build something bigger from this library of performing trading bots. I had already met Arnaud some years earlier at the Ecole Polytechnique during an executive Data Science program that we had both attended. We began brainstorming together, and soon included Jean-Charles in the project. We eventually decided to launch Napoleon Capital to sell these trading bots to institutional investors. We worked with blockchain technology from the beginning and were looking at use cases that could be especially beneficial to us. While doing so, we came up with the idea to tokenize our trading bots so that crypto-investors could also access the best quantitative techniques. To be perfectly honest this idea came from some of our customers who regularly asked us how they could invest in cryptocurrencies. 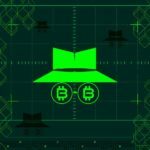 They were looking to apply some the same investment strategies to the crypto universe that we were using in the fiat world. Since no one else had started doing it yet, we decided to develop it ourselves, and NapoleonX was born.